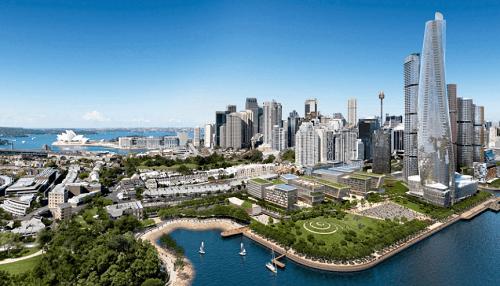 Crown Resorts has launched legal action against the New South Wales Government over plans that will block views from its 71-storey Crown Sydney Hotel resort, which is currently under construction in Barangaroo. Crown announced in its full-year financial results published on Wednesday, that it had launched action against the Barangaroo Delivery Authority (BDA) at the Supreme Court. Read on. The BDA, which is the agency for the NSW government, has tabled new plans to construct a taller building in a bid to accommodate a metro rail station in Barangaroo. However, the development could ruin the views from Crown’s proposed AU$2.2 billion resort to the Sydney Opera House and Harbour Bridge. Crown said in the statement to the ASX: “The proceedings seek injunctive relief and declarations against the BDA that, in substance, require the BDA to comply with a number of its contractual obligations under the Crown Development Agreement”. “These obligations including consulting with Crown about any application for the proposed development of Central Barangaroo that differs from that provided for in the relevant Concept Plan for Central Barangaroo in existence at the time the CDA was entered into, and negotiation in good faith and agreeing with Crown and Lendlease any required changes to that application to ensure that sight lines from the Harbour Bridge to the Sydney Opera House are retained for the Crown Sydney Hotel Resort,” the James-Packer company added. The controversial AU$800-a-night Crown Sydney Hotel & Casino was given a final approval in 2016 by the NSW Planning Assessment Commission and is due to be completed in 2021. The BDA said that it had been in negotiations with Crown and Lendlease about views for over “28 months” and that it has “at all times has acted in good faith and in accordance with its contractual obligations”. The agency said that it would defend its position in court. Crown Sydney will feature no pokie machines. The casino will be restricted to high rollers. The site is 5.2 hectares and three of those hectares will be used for “unparalleled public space for recreation, events and entertainment”. The hotel will feature 350 hotel rooms, apartments and restaurants. The construction of the resort will cost a substantial AU$2.2 billion.